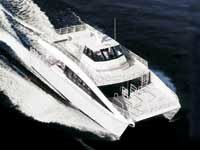 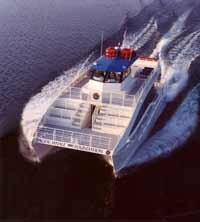 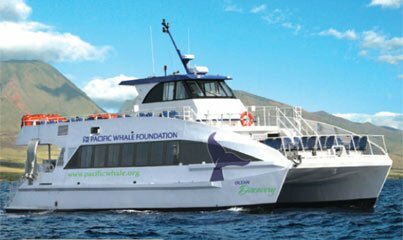 Take a Whale Watching cruise on the deep blue sea with the entire family. 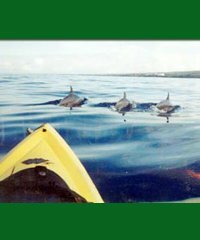 All of the islands offer wonderful opportunities to be close to nature. 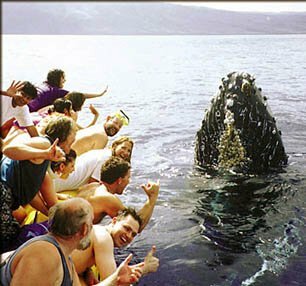 Whale watching is one awesome activity. 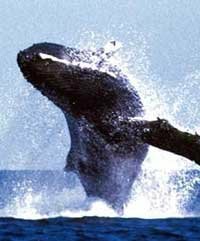 Hawaii's warm tropical waters become the winter home of the Pacific Humpback Whales from December thru March. 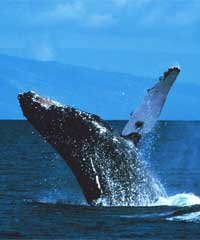 The migration of these majestic whales allows us to get close enough for incredible viewing and photo opportunities. 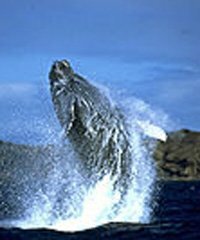 Join the whales in their natural habitat as they tail slap, spy hop, breach and other playful behaviors. 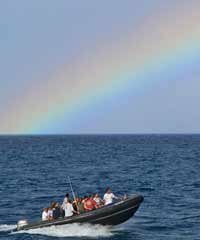 Some boats offer underwater hydrophone so you can Hear the whales sing live as the staff provides you with an informative narration. 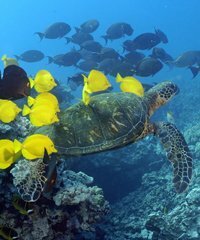 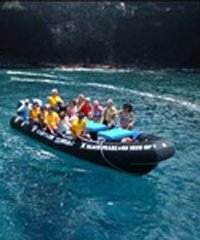 Dolphins, Pilot Whales, False Killer Whales, Manta Rays, Turtles and more can also be seen along the beautiful Hawaii coastlines while on these adventures. 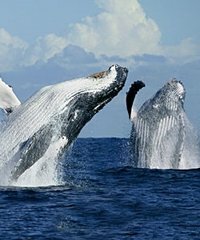 This could be your lucky day. 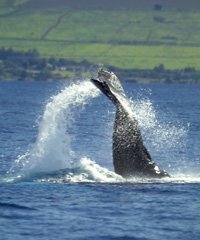 Kohola, the Humpback whale, come through Hawaiian waters every year, and although they sometimes get very close to the shore, there really is nothing like being out there with them. 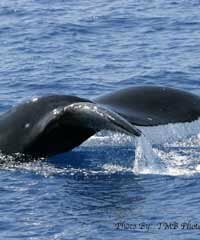 When the skipper shuts down the engines, or you're under sail, and the whales start broaching, the huge thunder of their fifty foot long bodies crashing into the sea brings the feeling of awe that you simply don't want to miss. 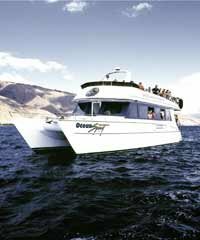 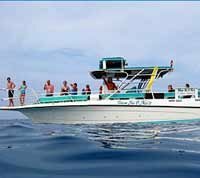 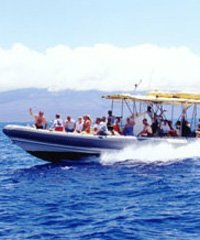 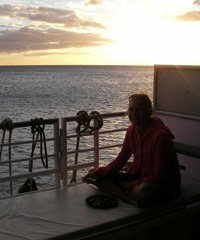 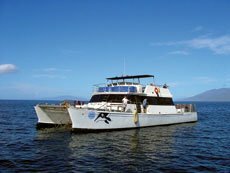 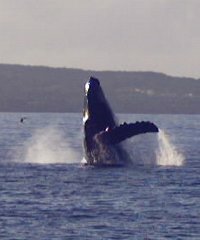 There are whale watching tours on all the islands and all of our friends are reputable and experienced. 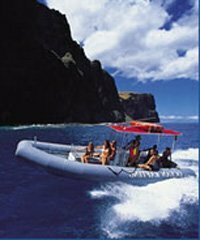 On Kauai, you run the Napali Coast, right beside those fantastic 4000 foot sea cliffs. 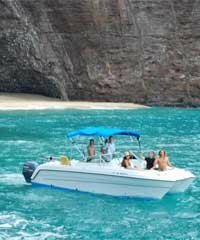 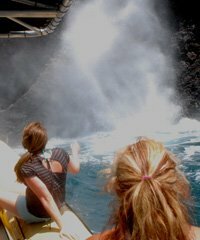 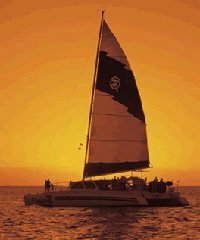 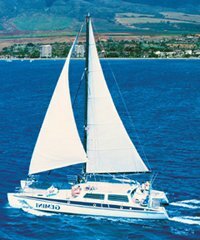 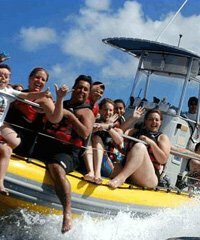 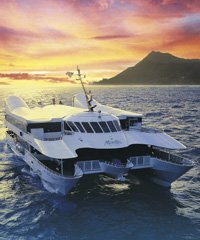 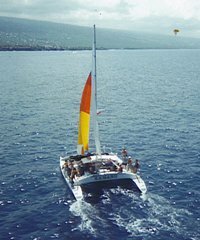 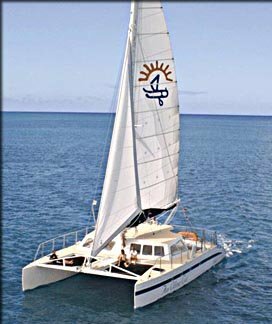 On Oahu, take in the sites of the magnificent coastlines and fabulous mountain ranges from out at sea. 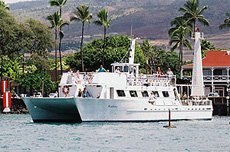 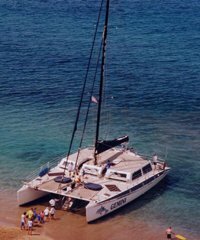 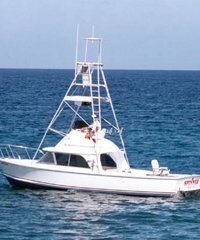 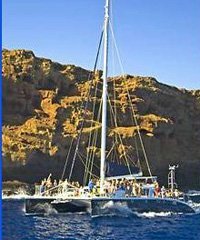 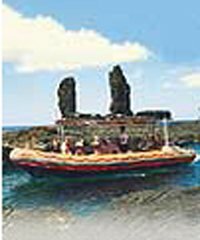 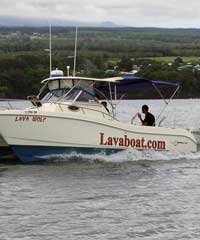 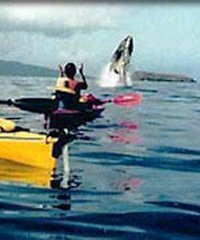 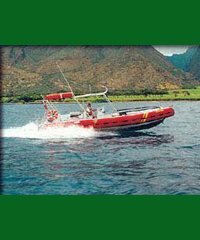 When on Maui, the famed whaling port of Lahaina is at your beck and call, and the calm waters there wil tell their own story as yu foolow the whale pods between Maui, Molokai, Lanai and Kahoolawe. 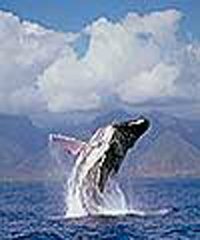 If you are onm the Big Island of Hawaii, You can take off from Hilo or Kona and from the sea, view the awesome volcano on Mauna Loa or the snow-capped peak of 14,000 foot tall Mauna Kea, all while keeping an eye out for thos wonderful whales. 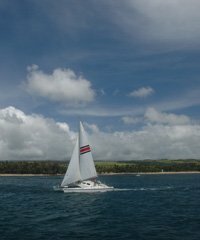 Just click on the links to the right and you're on your way! 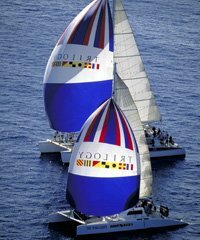 Happy Sails.